Oceanographer, explorer, and author Sylvia Earle has been named the recipient of this year’s Lewis Thomas Prize for Writing about Science. The award, given annually by Rockefeller University, recognizes Earle’s body of work, which includes memoirs, atlases, and children’s books, as well as advocacy for global marine conservation. Earle will be presented with the award at a ceremony on March 6. Named after its first recipient, noted physician-scientist and essayist Lewis Thomas, the prize was established in 1993 by Rockefeller’s Board of Trustees. It was originally called the Lewis Thomas Prize for the Scientist as Poet, as it honors individuals who bridge the worlds of science and the humanities. Winners of the Lewis Thomas Prize are celebrated for their ability to express science’s aesthetic and philosophical dimensions, providing new information and inspiring reflection. Earle, who is the National Geographic Society’s explorer-in-residence, has led more than 100 ocean expeditions around the world and pioneered the development of deep-ocean technology, including research submarines. Known internationally as a speaker, author, and advocate for marine conservation, Earle conducts field and laboratory studies that have led to the discovery of new plant and animal species and to the identification of new deep-water ecosystems. One of Earle’s most prominent conservation campaigns is run through her Mission Blue initiative. The nonprofit organization aims to develop a worldwide network of “hope spots,” or places designated as crucial to the health of the ocean. Mission Blue’s goal is to increase protected marine areas from about 5 percent to at least 30 percent of the global ocean by the year 2030. This campaign and Earle’s underwater explorations are profiled in the 2014 documentary film Mission Blue. Earle has also given lectures in more than 90 countries and written hundreds of publications. She has authored 13 books, ranging from illustrated atlases to memoirs and children’s books. Her book The World Is Blue: How Our Fate and the Ocean’s Are One, begins with an analysis of 2010’s Deepwater Horizon oil spill and describes how years of swift and dangerous oceanic change threaten the existence of life on Earth. Earle received her bachelor’s degree from Florida State University and her Ph.D. in phycology, the scientific study of algae, from Duke University. She is the founder of the marine consulting firm Deep Ocean Exploration and Research, chair of the advisory council for the Harte Research Institute, and the former chief scientist of the National Oceanographic and Atmospheric Administration. 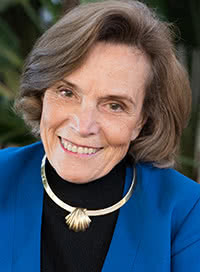 Earle, who was named Time Magazine’s first “Hero for the Planet,” has received several honors for her work, including the TED Prize, the Patrons Medal of the Royal Geographical Society, and the Hubbard Medal, the highest honor of the National Geographic Society. Recent recipients of the Lewis Thomas Prize include research physiologist Frances Ashcroft, surgeon Atul Gawande, mathematicians Steven Strogatz and Ian Stewart, and evolutionary biologist and author Sean B. Carroll. The award ceremony includes a reception to be held at 5:30 p.m. on March 6 in the Abby Aldrich Rockefeller Lounge, followed at 6:30 p.m. by the prize presentation and a lecture by Earle in Caspary Auditorium. The events are open to the public. 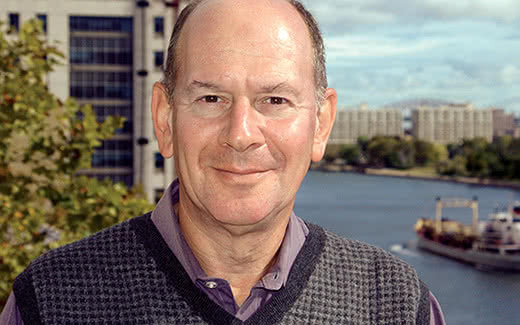 Jesse H. Ausubel is a senior research associate and the director of the Program for the Human Environment, as well as the chairman of the Lewis Thomas Prize selection committee. Mr. Ausubel studies environmental science and related industrial evolution. To interview Rockefeller University scientists, contact Zach Veilleux or Frank Hoke at 212-327-7900. For photo requests, contact Zach Veilleux at 212-327-8982.